Our July MOMentum: How your donation is making a difference! For everyone who has ever taken action with MomsRising/MamásconPoder: Thank you. Thank you for creating MOMentum to build this movement for all women, moms, and families. Your willingness to defend and empower families in America is paving the way for paid family and medical leave for all, fighting harmful family separation, inspiring the next generation of women leaders, and so much more. We’re grateful for your energy and support to make a difference! In early July, the U.S. Senate Finance Committee held a very important hearing on paid family and medical leave. That the hearing even happened is a huge testament to the relentless work of MomsRising members like you pushing Congress to act on the critical need for paid family and medical leave! Powered by the support of donors like you, MomsRising members sprang to action before, during and after the Senate hearing to ensure that Members of Congress know we want real change and not fake solutions. 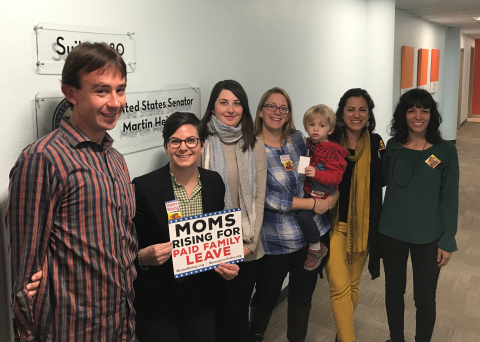 MomsRising members shared powerful paid leave stories with key members of the Senate committee, and mobilized members to make over 2,100 calls to committee members, urging them to support paid family leave for all. And Congress isn’t the only front where we’re making progress. Fresh off state-level paid leave victories in Washington and Massachusetts, MomsRising is on-the-ground advancing family leave legislation in Connecticut, Colorado, Hawaii, New Hampshire, New Jersey, Pennsylvania, and Oregon, as well as, in many municipalities. None of this progress would be possible without your support. Thank you! MOMentum is lifting up the voices of the next generation of leaders! Just ask these girls, many the daughters of MomsRising members, who volunteered to speak to the crowd of thousands at a Washington, D.C. rally to stop family separation. MomsRising’s movement embraces and empowers young people rising for justice and human rights. We’re inspired by their courage, energy and persistence! Tell us what this movement means to you! Send your comments to feedback@momsrising.org. Read the whole insightful review here. August 7 | Portsmouth, New Hampshire: Resilience Screening, 6:00PM - Join us for a screening of the film “Resilience,” a one-hour documentary that delves into the science of Adverse Childhood Experiences (ACEs) and the birth of a new movement to treat and prevent toxic stress. There will be a discussion afterwards, and free child care will be available with advanced sign-up. Food will be provided. 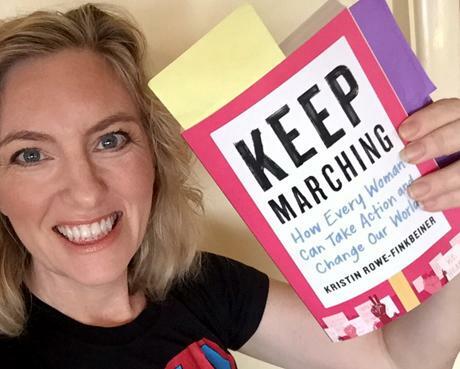 Power up the MOMentum of the MomsRising Movement!